This year's Pikes Peak International Hill Climb event in Colorado has been quite interesting for both Toyota and Lexus, where the Toyota Motorsport GmbH revealed the TMG EV P002 car, the predecessor to the P001 electric racer that still holds the Nurburgring electric lap record. 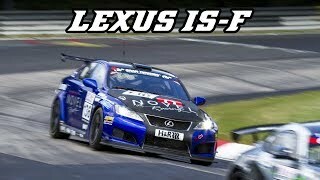 The event was an interesting one for Lexus as well, because they have managed to reveal the IS F CCS R Race Car 2012 which was first seen at the Tokyo Auto Show last year as a concept. 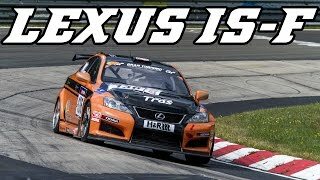 The Lexus is powered by a 5.0 liter V8 unit able to develop no more or less than 416 horsepower at 6,600 RPM, and 31lb-ft of torque at 5,200 RPM. The unit is coupled with an 8-speed Sport Direct Shift gearbox featuring paddle shift as well as a manual mode, whose job is to send the engine's power to the rear wheels. The racer features racing brake kit, brake cooling system and stainless steel mesh brake hose, as well as a modified race suspension with adjustable camber front upper arm and reinforced bushings and mounts. The exhaust is also -pretty obviously- not from the "standard" bunch. 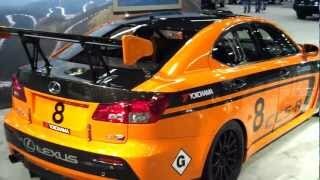 The exterior is undeniably that of a race car, and pretty much every aspect of it gives away its sporty character, from the orange body color to the contrasting carbon fiber hood, front spoiler, front fender and canard, rear diffuser and rear spoiler. The monocoque has been reinforced with a roll cage, windows have been replaced with ones made from polycarbonate and the doors themselves are as lightweight as possible. The IS F CCS racer comes with a set of wheels from SSR coupled with Yokohama / ADVAn NEOVA A050 tires, measuring 245/40 R18 and 255/40 R18 front and rear respectively. Not much to say about the interior, except for the fact that it has been prepared pretty much as any other track vehicle. It comes with six-point seat belts, carbon fiber dashboard, center console and interior trim, HANS compatible full bucket driver's seat, a small-diameter steering wheel and lots and lots of features missing for the sake of lightweight, including power windows, rear seats, roof lining, door locks and the lot. 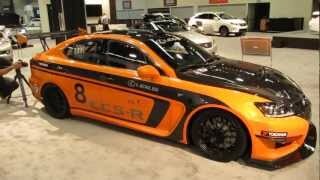 Would you like to give the Lexus IS F CCS R Race Car 2012 a spin on a race track? Drop us a line and let us know.